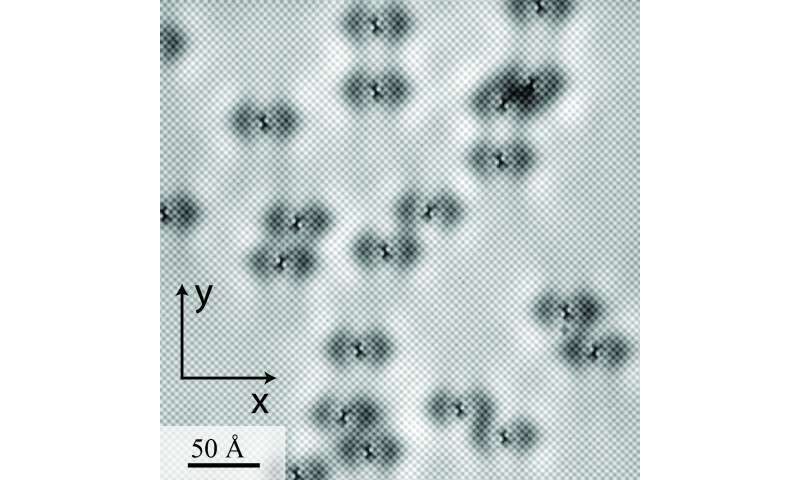 A team of scientists has found evidence for a new type of electron pairing that may broaden the search for new high-temperature superconductors. The findings, described in the journal Science, provide the basis for a unifying description of how radically different "parent" materials—insulating copper-based compounds and metallic iron-based compounds—can develop the ability to carry electrical current with no resistance at strikingly high temperatures. This is obvious; so, the results hindering progress? The que balls and stack of balls but the balls are the fields of each of these. Fields don't affect fields. A charge moves within the field. Some charges are bound to the nucleus some are bound to an orbit. First, can the orbits be aligned! That, you would need for "invisible motion" or hit the stack response without losing anything. We figure out what's invisible, a constant field in all directions, tougher to define with allowed states? juz say'n I'd look for lines of superconductivity, i.e. frequency domain, directional, transmission, no reflection, .. DC? 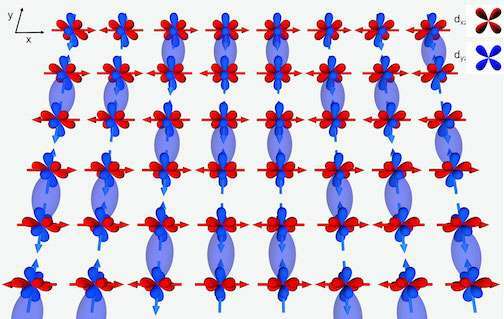 The direction of the field is controllable as well as all the spintronics. Simulation with diametrical spherical fields? I think this beats my guess work. How about you? The pattern of blue rows in the illustration is interesting. In blue rows 1,3 and 5 (counting from the top row), the horizontal pattern seems to be 3 blue pairs in a row, then no pairs in the next 2 spots. I assume that pattern repeats as the row extends. In blue rows 2, 4 and 6 the horizontal pattern seems to be 2 blue pairs in a row, then no pairs in the next 3 spots. I assume that pattern repeats as the row extends. The vertical pattern is also precise. The "2 pairs" have 2 blank spaces above and below. The "3 pairs" have 3 blank spaces above and below. The Physorg article does not comment on the patterns, nor does it suggest any possible significance for the patterns. This alternating 3:2 pattern (if my assumptions are correct) is a bit unusual, it seems to me.